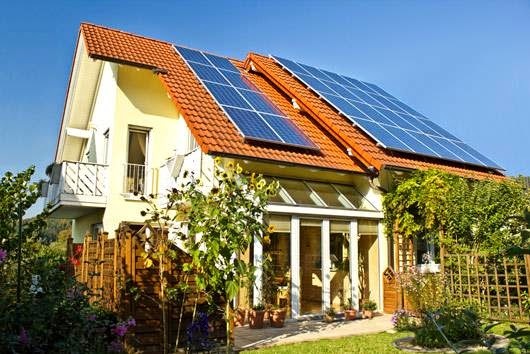 Solar Panels - How it could affect the sale of your home. Solar Panels – How it could affect the sale of your home. So many homes nowadays have SOLAR panels. That’s wonderful for the environment but it may not be ideal if you decide to sell your home. Are you aware there are different types of Solar Financing Options? Do you know that a Buyer’s Lender may not allow a simple takeover of the existing Solar lease or loan? Did you know this could eat away the net proceeds of the sale if the seller is forced to pay off the solar panels in order to close escrow? Let’s go over some scenarios and I’ll explain how this will affect the sale of your home if you have solar panels installed. PLEASE NOTE: This also applies not just to solar panels, but to other energy efficient upgrades to the home via the HERO program. Lease – On a simple straight out lease a buyer can assume the existing lease or simply do a Lease buy-out, much like a car lease. Payoff the remaining lease term and then buy the solar panels based on their current value. However, in many cases, the existing leasing company, may require the buyer to qualify for assuming the loan. This, of course, may cause an issue with the ability to get approved for a loan to purchase the home as well. Or the lender may approve your loan, however, the leasing company will not. Lease paid in full by HERO Program – Under this option, a contractor selling solar panels would have convinced the seller/homeowner that it was best to completely pay off the lease and take a loan from HERO to do so. So now the homeowner doesn’t have a lease payment but rather paying back the HERO loan through their property taxes. The issue and misconception here are that the homeowner now believes that they are actually paying for the purchase of the solar panels. There have been multiple sellers/homeowners who believe they own the panels outright because they paid off the lease and are paying off the solar panels. This option is a combination of 1-2 above, therefore the aforementioned may apply here as well. This option presents the biggest challenge and it’s the more popular of the three options. Remember that if the seller was expecting $100k net proceeds after the sale and the lease is, for example, $25k, then you may be forced to pay off the solar panels, your net will be reduced to $75k. Imagine if you net was only $25k, then you may get nothing out of the sale. Free and Clear – Of course there is always the chance that the solar panels are truly paid off in full. If so, congrats no issue with the transaction. A win-win for both the homeowner and buyer as the home shall sale for a premium and buyer will save $$ on their electric bill. What if I am a Buyer? The first 3 options have a potential to hamper and prevent the sale of the home from closing. If you’re a buyer working with my team, no worries as we will make sure this issue is addressed before an offer is made. If you’re in another market, make sure when you become aware of solar panels on a home you are looking to buy, ask your Realtor® to examine your options and potential ramifications. What if I am a Homeowner/Potential Seller? Just contact me and we will coordinate with the title company to assess what type Solar Financing you may have if they are not paid off. Then figure out what works best when putting the house for sale. Reminder: This also applies not just to solar panels, but to other energy efficient upgrades to the home via the HERO program. Bottomline: If you are thinking of getting solar panels or other energy efficient upgrades via the HERO program, its best to know what your intentions are going to be in terms of how long you plan to own your home before you decide to sale. Hope you find this information helpful, let me know if you have questions.